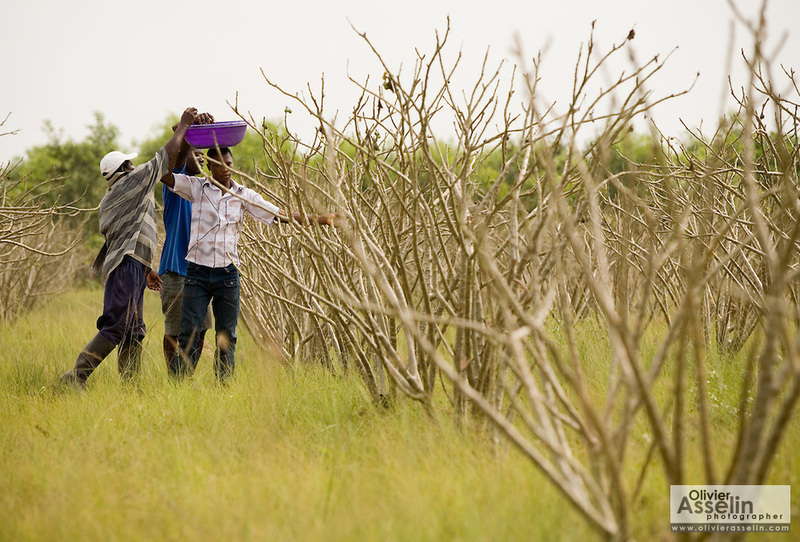 Farm workers collect dried jatropha fruits from trees at a farm outside the town of Lolito, roughly 80km east of Ghana's capital Accra, on Thursday Dec. 12, 2006. Jatropha - which grows naturally in Ghana and other parts of Africa - can be used to make biodiesel. The tree is drought-resistant and loses its leaves during the dry season.